Since ancient times, salt has been valued highly and even used as a currency. Salt from mines and flats from across the world would be invaluable to improve sanitation as a food preserve to the populations it reached. For this reason, it was deemed as a highly prized commodity over the centuries. We have now grown accustomed to salt in various forms, but seldomly had a chance to pause and re-discover this currency of old. Let the new Demarquette World of Salt caramels transport you from peaks to seashores and rivers to mines. We will bring you to the world’s most extraordinary natural salts with our caramel and chocolate touch!! a choice of 12, 24 or 48 Caramels! 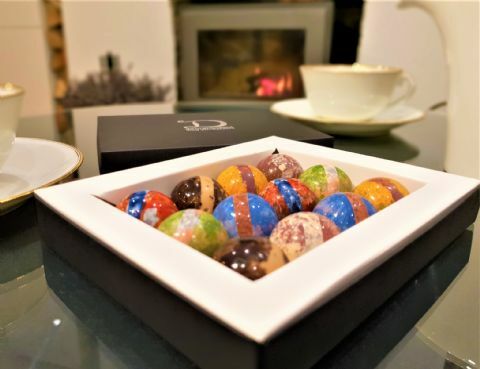 The half sphere-shaped individually hand-painted chocolates are carefully moulded using our dark 71.1% house blend, our house 40% milk chocolate and our caramelised white chocolate and are filled with a luxurious creamy caramel made with pure cream and our chosen salts. 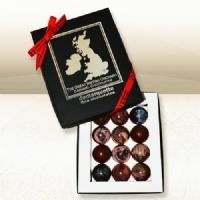 Choice of gift boxes containing 12, 24 or 48 chocolates.